Adobe InDesign Training Ottawa - Learn with the best! 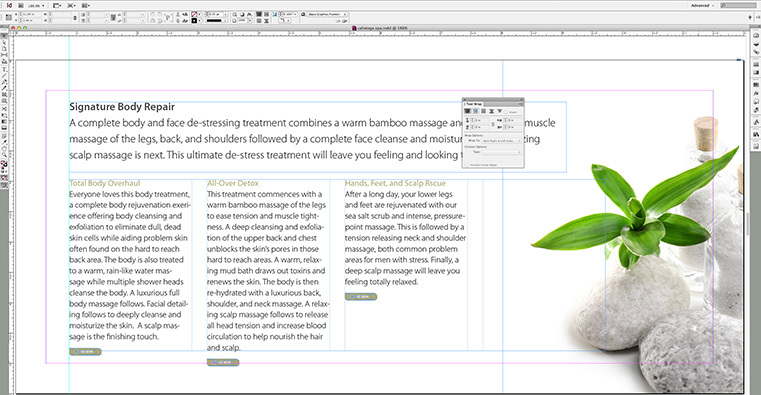 Adobe InDesign is an exceptional page layout app used to create ads, flyers, posters, and brochures. In class, you will be working hands-on from the very beginning, following along as the instructor demonstrates each step. The learning curve is gentle. We will teach you tips and tricks that will make your work easier and more professional. Our goal is to make sure your class meets your objectives, not ours. This outline is intended as a guide to provide structure for the workshop. Don’t be afraid to ask questions outside the box; our instructors are experts in the use of InDesign at all levels and are prepared to answer your questions on the fly. Prerequisite: InDesign Essentials course or equivalent experience. At this level, you are probably concerned with increasing your productivity – and there are so many ways you can do that with InDesign. Whether you work with long documents or brochures, ads, or whatever, we’ll show you time-saving tips and techniques that will literally make you giggle. This course is always customized to suit your needs.